[S689] W. Avery Miner, comp., Descendants of John Minor (n.p. : n.pub., 1983), p. 13. [S689] W. Avery Miner, comp., Descendants of John Minor, above, p. 13 (naming John Glazebrook as his father). [S689] W. Avery Miner, comp., Descendants of John Minor (n.p. : n.pub., 1983), p. 13 (naming John Glazebrook as his father). [S689] W. Avery Miner, comp., Descendants of John Minor, above, p. 13 (naming Sarah Winn as his mother). [S689] W. Avery Miner, comp., Descendants of John Minor, above, p. 13. [S689] W. Avery Miner, comp., Descendants of John Minor (n.p. : n.pub., 1983), p. 13 (naming Elizabeth Winn as her mother). [S689] W. Avery Miner, comp., Descendants of John Minor, above, p. 13 (naming Robert John Snead as her father). [S689] W. Avery Miner, comp., Descendants of John Minor, above, p. 13 (naming Mrs. Phoebe Pledger as his mother). [S689] W. Avery Miner, comp., Descendants of John Minor, above, p. 13 (naming Mrs. Phoebe Pledger as her mother). [S689] W. Avery Miner, comp., Descendants of John Minor (n.p. : n.pub., 1983), p. 13 (naming Richard Winn as his father). [S689] W. Avery Miner, comp., Descendants of John Minor (n.p. : n.pub., 1983), p. 13 (naming Richard Winn as her father). [S689] W. Avery Miner, comp., Descendants of John Minor, above, p. 13 (naming Mary Pledger as his mother). [S689] W. Avery Miner, comp., Descendants of John Minor, above, p. 13 (naming Mary Pledger as her mother). [S689] W. Avery Miner, comp., Descendants of John Minor (n.p. : n.pub., 1983), p. 13 (naming Capt. John Winn as his father). [S689] W. Avery Miner, comp., Descendants of John Minor, above, p. 13 (identifying her as "Mrs. Sally King (nee George)"). [S689] W. Avery Miner, comp., Descendants of John Minor (n.p. : n.pub., 1983), p. 13 (identifying her as "Mrs. Sally King (nee George)"). [S689] W. Avery Miner, comp., Descendants of John Minor (n.p. : n.pub., 1983), p. 13 (naming Capt. John Winn as her father). [S689] W. Avery Miner, comp., Descendants of John Minor (n.p. : n.pub., 1983), p. 13 (naming Henry Holman as his father). [S689] W. Avery Miner, comp., Descendants of John Minor, above, p. 13 (naming Mourning _____ as his mother). Marriage*: He married Mourning _____. Marriage*: She married Henry Holman. [S689] W. Avery Miner, comp., Descendants of John Minor (n.p. : n.pub., 1983), p. 13 (naming Mourning _____ as his mother). [S689] W. Avery Miner, comp., Descendants of John Minor (n.p. : n.pub., 1983), p. 7 (naming Thomas Shaw as her father). [S689] W. Avery Miner, comp., Descendants of John Minor, above, p. 7. [S689] W. Avery Miner, comp., Descendants of John Minor, above, p. 7 (naming Jemima Shaw as his mother). Marriage*: She married Thomas Shaw. [S689] W. Avery Miner, comp., Descendants of John Minor (n.p. : n.pub., 1983), p. 7 (naming George Minor as his father). [S300] Norma Walker Anderson, Sarah Junell Walker Mullinnix, and Bobbye Roberts Harkins, comps., A Genealogical Record for the Descendants of Lt. Isaac Walker and Elizabeth Stuart (n.p. : n.pub., 1995), p. 219. [S300] Norma Walker Anderson, et al., A Genealogical Record for the Descendants of Lt. Isaac Walker and Elizabeth Stuart, above, p. 219 (naming Ola Lee Smith as his mother). [S300] Norma Walker Anderson, Sarah Junell Walker Mullinnix, and Bobbye Roberts Harkins, comps., A Genealogical Record for the Descendants of Lt. Isaac Walker and Elizabeth Stuart (n.p. : n.pub., 1995), p. 219 (naming Larkin Berry Walker as his father). [S300] Norma Walker Anderson, et al., A Genealogical Record for the Descendants of Lt. Isaac Walker and Elizabeth Stuart, above, p. 219. [S300] Norma Walker Anderson, Sarah Junell Walker Mullinnix, and Bobbye Roberts Harkins, comps., A Genealogical Record for the Descendants of Lt. Isaac Walker and Elizabeth Stuart (n.p. : n.pub., 1995), p. 220. [S300] Norma Walker Anderson, Sarah Junell Walker Mullinnix, and Bobbye Roberts Harkins, comps., A Genealogical Record for the Descendants of Lt. Isaac Walker and Elizabeth Stuart (n.p. : n.pub., 1995), p. 220 (naming William ['Bill'] Owens as his father). [S300] Norma Walker Anderson, et al., A Genealogical Record for the Descendants of Lt. Isaac Walker and Elizabeth Stuart, above, p. 220 (naming Annice Rebecka Walker as his mother). [S300] Norma Walker Anderson, Sarah Junell Walker Mullinnix, and Bobbye Roberts Harkins, comps., A Genealogical Record for the Descendants of Lt. Isaac Walker and Elizabeth Stuart (n.p. : n.pub., 1995), p. 220 (naming William ['Bill'] Owens as her father). [S300] Norma Walker Anderson, et al., A Genealogical Record for the Descendants of Lt. Isaac Walker and Elizabeth Stuart, above, p. 220 (naming Annice Rebecka Walker as her mother). [S300] Norma Walker Anderson, et al., A Genealogical Record for the Descendants of Lt. Isaac Walker and Elizabeth Stuart, above, p. 220. Note*: • He grew up in Dallas, Texas and graduated from Obadiah Knight Elementary School and North Dallas High School. [S1394] Obituary of Joe Bradly, Caudle-Rutledge-Daugherty Funeral Home, Lindale, Tex., 29 Sep 2017, online at http://tinyurl.com/y8lofkh6, viewed on 1 Oct 2017. [S1394] Obituary of Joe Bradly, above (stating that interment would be at 11:00 a.m. with full military honors, with Ray Chaney officiating). [S442] Personal knowledge of Roger A. Bartlett from conversation with Joe Bradly (first bullet). [S1394] Obituary of Joe Bradly, above (second bullet). 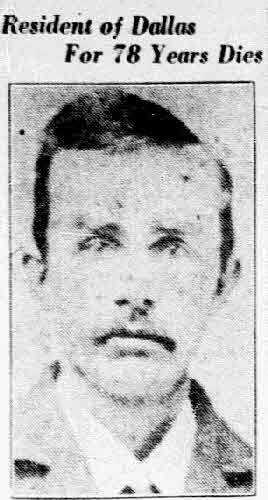 Obituary*: • "Charles Wood Milligan was the son of Isaac Milligan and Maria McCalla. He was born in Decatur Co. Iowa. He married Edna Bernice Parmiter July 24 1909 Roosevelt, Oklahoma in her sister Nellie Ellen Bozman's home. Charles and Edna lived the first five years of their married life in Oklahoma City, Oklahoma where he was a International Harvester Salesman, traveling to Canada, England, France, Germany, Australia, Japan selling farm equipment in the early 1900's. In 1915 he bought 160 acres of land at Roosevelt Oklahoma and became a farmer, and in 1918 sold that farm and purchased 320 acres seven and one half miles Southeast of Hobart. He and Edna were the parents of Donly Milligan and Elaine Milligan, and grandparents of Patricia Milligan, Elizabeth Milligan, Gayle Milligan. daughters of Donly Milligan and Macy Stephens. Charles Wood Milligan died of an inoperable appendix in 1920 and Edna married Robert Marion Bachman." "C. W. Milligan, about 40 years old, a farmer who lives out 7 miles from Hobart, died in the Huffman Hospital at 4 a. m. Monday morning, of liver trouble. "Mr. Milligan, prior to his recent purchase of a farm near Hobart, was connected with the International Harvesting Co., and prior to this he farmed in the mountains, 15 miles southeast of town. "He is survived by a wife and two children. Funeral services will be held from the Church of Christ, corner Washington and Second streets, on the arrival of relatives from a distance. "Mrs. Milligan was Miss Edna Parmiter before her marriage and both she and Mr. Milligan were known in Hobart to a large circle of friends. "The funeral hour will be announced later." "Charles W. Milligan, was born Aug. 14th, 1871 [sic], and grew to manhood at Mt. Ayrs [sic], Iowa. Died at Hobart, Okla., July 26th, 1920, being 48 years 11 months and 17 days of age at the time of his death. "He was the son of Isaac and Marie Milligan. "Chas. W. Milligan and Miss Edna Parmiter, were married at Hobart, Okla., July 23, 1909, to this union two children were born, Donly, aged 10, and Elaine aged 7. Besides his wife and two children he leaves two brothers and one sister who resides [sic] in California to mourn the loss of one whom they loved and it can be truly said that there never could be a man more devoted to his family than Mr. Milligan and his two children he idolized. "Mr. Milligan father and mother, two brothers and one sister preceeded [sic] him to the great beyond. 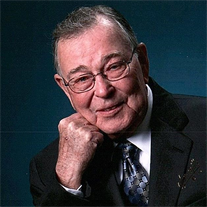 "Mr. Milligan was a traveling salesman for the International Harvester Company for about seventeen years. He had traveled extensively; had crossed the Ocean three different times, while in the employ of this company. He was located in Okla. City, 8 years and four years ago he decided to move onto a farm in order that he could be with his family and he even gave up several lodges that he belonged to and did not want to be attached to anything that would require him to leave his family, and he had a farm about seven miles Southeast of Hobart and this was being improved for a home, but alas, alas. The Grim Monster “death” the Arch enemy to life appeared with his cold icy fingers and the end came all to [sic] soon. • His Find A Grave memorial, which includes pictures of him and a picture of his grave marker, is here. [S961] Find A Grave, online at http://www.findagrave.com, memorial for Charles Wood Milligan, memorial no. 10748149, viewed on 23 Aug 2015. Elsewhere in this memorial his birth place is given as Decatur County, Iowa and the accompanying photo of his tombstone gives 1872 as his birth date. [S1322] The Weekly Democrat-Chief, Hobart, Okla., online archive, 5 Aug 1920, p. 2, col. 2, at http://tinyurl.com/om5x7k3 (obituary for Charles W. Mulligan) (stating that he was born on 14 Aug 1871 without giving the place). [S867] Pat Sproat, chart of descendants of John Bachman sent to Roger Bartlett, 11 Oct 2003 (giving the year but no other information). [S961] Find A Grave, online, above, memorial for Charles Wood Milligan, memorial no. 10748149, viewed on 23 Aug 2015. [S1322] The Weekly Democrat-Chief, Hobart, Okla., online archive, 5 Aug 1920, p. 2, col. 2, at http://tinyurl.com/om5x7k3 (obituary for Charles W. Mulligan) (stating that they were married on 23 Jul 1909 at Hobart, Oklahoma). [S961] Find A Grave, online, above, memorial for Charles Wood Milligan, memorial no. 10748149, viewed on 23 Aug 2015 (stating that he died "of an inoperable appendix"). [S1322] The Weekly Democrat-Chief, Hobart, Okla., online archive, 29 Jul 1920, p. 7, col. 5, at http://tinyurl.com/q46of6x (obituary for C. W. Mulligan) (stating that he died in the Huffman Hospital at 4:00 a.m. "of liver trouble"). [S961] Find A Grave, online, above, memorial for Charles Wood Milligan, memorial no. 10748149, viewed on 23 Aug 2015 (first bullet). [S1322] The Weekly Democrat-Chief, Hobart, Okla., online archive, 29 Jul 1920, p. 7, col. 5, at http://tinyurl.com/q46of6x (second bullet). [S1322] The Weekly Democrat-Chief, Hobart, Okla., online archive, 5 Aug 1920, p. 2, col. 2, at http://tinyurl.com/om5x7k3 (third bullet). 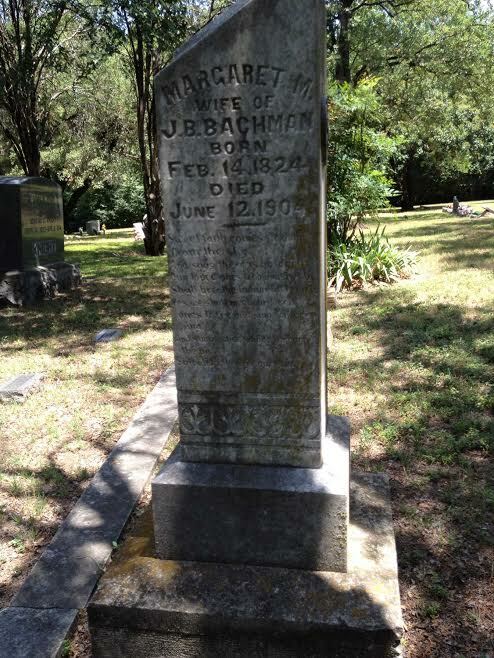 John B. Bachman's grave marker, Cochran Chapel Cemetery, Dallas, Tex., photographed by Roger Bartlett. [S867] Pat Sproat, chart of descendants of John Bachman sent to Roger Bartlett, 11 Oct 2003 (naming Daniel Bachman as his father). [S867] Pat Sproat, chart of descendants of John Bachman, above (naming Dorcas Amelia Alexander as his mother). [S867] Pat Sproat, chart of descendants of John Bachman, above. [S1178] Standard certificate of death (Texas Department of Health, Bureau of Vital Statistics), no. 51073 for Daniel Bachman, filed 27 Dec 1932, Charles W. Smith, informant, per copy viewed online at pilot.familysearch.org on 4 Jul 2008 (stating that he was born in Tennessee without giving the date). [S961] Find A Grave, online at http://www.findagrave.com, memorial for John Bachman, memorial no. 33515457, viewed on 8 May 2014 (giving the date but not the place). [S67] The Dallas Morning News, Dallas, Tex., 13 Jun 1904, p. 10 ("Pioneer Resident Dead") (not giving the date). [S961] Find A Grave, online, above, memorial for John Bachman, memorial no. 33515457, viewed on 8 May 2014. [S867] Pat Sproat, chart of descendants of John Bachman, above (stating that he died on 26 Mar 1867 in Dallas County, Texas). [S867] Pat Sproat, chart of descendants of John Bachman, above (naming John B. Bachman as his father). [S867] Pat Sproat, chart of descendants of John Bachman, above (naming John B. Bachman as her father). [S755] Anna Baker & Anne Cochran, Cochran Chapel Cemetery (1976), above (naming J. B. Bachman as his father). [S67] The Dallas Morning News, Dallas, Tex., 28 Dec 1932, sec. 1, p. 3 (obituary of Daniel Bachman) (naming John B. Bachman as his father). [S1178] Standard certificate of death (Texas Department of Health, Bureau of Vital Statistics), no. 51073 for Daniel Bachman, filed 27 Dec 1932, Charles W. Smith, informant, per copy viewed online at pilot.familysearch.org on 4 Jul 2008 (naming John B. Bachman as his father). [S67] The Dallas Morning News, Dallas, Tex., 23 Oct 1936, sec. 2, p. 12 (obituary of Mrs. Alice Amanda Smith) (naming John Bachman, "for whom Bachman's Lake was named," as her father). [S67] The Dallas Morning News, Dallas, Tex., 15 Mar 1947, p. 2 (obituary of Charles Winston Smith) (naming John Bachman as her father). [S67] The Dallas Morning News, Dallas, Tex., 27 Aug 1943, sec. 1, p. 8 ("Mrs. Harrison, Dallas Native, Dies at Home") (naming J. B. Bachman as her father). Margaret M. Hughes Bachman's grave marker, Cochran Chapel Cemetery, Dallas, Tex., photographed by Roger Bartlett. Other Names*: Margaret Hughes Bachman, Margaret Bachman. "Mrs. Margaret Bachman, Who Came Here in 1854, Is Dead. "Mrs. Margaret M. Bachman, who died in this city yesterday, was one of the pioneer residents of Dallas County. She was the wife of the late John Bachman, with whom she came to Dallas County in 1854, and settled on the old Bachman homestead near the site of what is now Bachman's reservoir, and has made Dallas County her home ever since. [S67] The Dallas Morning News, Dallas, Tex., 13 Jun 1904, p. 10 ("Pioneer Resident Dead") (stating that she was born on 14 Feb 1824 in Murray [sic] County, Tennessee without naming the town). [S867] Pat Sproat, chart of descendants of John Bachman sent to Roger Bartlett, 11 Oct 2003 (stating that she was born in Columbia, Maury County, Tennessee but giving 13 Feb 1824 as her birth date). [S1178] Standard certificate of death (Texas Department of Health, Bureau of Vital Statistics), no. 51073 for Daniel Bachman, filed 27 Dec 1932, Charles W. Smith, informant, per copy viewed online at pilot.familysearch.org on 4 Jul 2008 (stating that she was born in Tennessee without giving the date). [S67] The Dallas Morning News, Dallas, Tex., 13 Jun 1904, p. 10 ("Pioneer Resident Dead"). [S67] The Dallas Morning News, Dallas, Tex., 13 Jun 1904, p. 10. [S67] The Dallas Morning News, Dallas, Tex., 13 Jun 1904, p. 10 ("Pioneer Resident Dead") (describing her descendants and containing the quoted material). [S867] Pat Sproat, chart of descendants of John Bachman, above (naming Margaret Morris Hughes as his mother). [S867] Pat Sproat, chart of descendants of John Bachman, above (naming Margaret Morris Hughes as her mother). [S755] Anna Baker & Anne Cochran, Cochran Chapel Cemetery (1976), above (naming M. M. Bachman as his mother). [S1178] Standard certificate of death (Texas Department of Health, Bureau of Vital Statistics), no. 51073 for Daniel Bachman, filed 27 Dec 1932, Charles W. Smith, informant, per copy viewed online at pilot.familysearch.org on 4 Jul 2008 (naming Margaret Hughes as his mother). [S67] The Dallas Morning News, Dallas, Tex., 15 Mar 1947, p. 2 (obituary of Charles Winston Smith) (naming Margaret Bachman as her mother). [S755] Anna Baker & Anne Cochran, Cochran Chapel Cemetery (1976), above (naming M. M. Bachman as his mother)). Birth*: He was born on 4 June 1802. Marriage*: He married Mary Hughes, daughter of William Hughes and Alcy Carr. 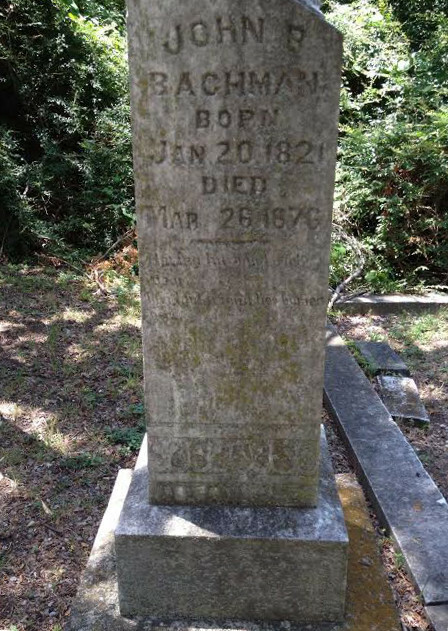 Death*: He died on 13 November 1880 at age 78. Burial*: Interment was in Webb Chapel Cemetery, Farmers Branch, Dallas County, Texas. • A history of Isaac and Mary Hughes Webb and their family is here. Birth*: She was born on 10 February 1816. Marriage*: She married Isaac Blackman Webb. Death*: She died on 20 September 1887 at age 71. • A history of Mary Hughes and Isaac Blackman Webb and their family is here. [S867] Pat Sproat, chart of descendants of John Bachman sent to Roger Bartlett, 11 Oct 2003 (naming John B. Bachman as her father). [S755] Anna Baker & Anne Cochran, Cochran Chapel Cemetery (1976) (giving her name as Zuleika B. Taylor and giving the date but not the place). Tom Ellis provided an electronic copy to Roger Bartlett on 5 Jul 2002. [S920] Marriages, Dallas County, Texas, Books A-E (1846-1877) Vol. I (Dallas, Tex. : Dallas Gen. Soc'y, 1978), p. 18. [S755] Anna Baker & Anne Cochran, Cochran Chapel Cemetery (1976), above (giving her name as Zuleika B. Taylor). [S867] Pat Sproat, chart of descendants of John Bachman, above (naming Almira Zuleika Bachman as his mother). [S755] Anna Baker & Anne Cochran, Cochran Chapel Cemetery (1976), above (naming Zuleika Bachman Taylor as his mother). [S867] Pat Sproat, chart of descendants of John Bachman, above (naming Almira Zuleika Bachman as her mother). [S755] Anna Baker & Anne Cochran, Cochran Chapel Cemetery (1976), above (naming Z. Taylor as her mother). [S67] The Dallas Morning News, Dallas, Tex., 1 Nov 1948, sec. 2, p. 10 (obituary of Fletcher F. Taylor) (naming Zuleika Bachman as his mother). [S755] Anna Baker & Anne Cochran, Cochran Chapel Cemetery (1976), above (naming Zuleika B. Taylor as her mother). [S67] The Dallas Morning News, Dallas, Tex., 5 Dec 1933, sec. 1, p. 4 (obituary of William S. Taylor) (naming Zuleika Bachman as his mother). [S755] Anna Baker & Anne Cochran, Cochran Chapel Cemetery (1976), above (naming Z. Taylor as his mother). [S867] Pat Sproat, chart of descendants of John Bachman sent to Roger Bartlett, 11 Oct 2003 (naming John B. Bachman as his father). [S67] The Dallas Morning News, Dallas, Tex., 12 Aug 1930, part 2, p. 13 (obituary of Samuel Hughes Bachman). [S67] The Dallas Morning News, Dallas, Tex., 12 Aug 1930, part 2, p. 13 (obituary of Samuel Hughes Bachman) (indicating the date but not the place). [S755] Anna Baker & Anne Cochran, Cochran Chapel Cemetery (1976), above (naming S. H. Bauchman [sic] as her father). [S867] Pat Sproat, chart of descendants of John Bachman, above (naming Samuel Hughes Bachman as her father). [S867] Pat Sproat, chart of descendants of John Bachman, above (naming Samuel Hughes Bachman as his father). [S67] The Dallas Morning News, Dallas, Tex., 12 Aug 1930, part 2, p. 13 (obituary of Samuel Hughes Bachman) (stating that C. Arthur Bachman was the surviving son of Samuel Hughes Bachman). [S1179] Certificate of death, no. 68990 for Clarence Arthur Bachman, dated 14 Nov 1963, V. J. Bachman, informant, per copy viewed online at pilot.familysearch.org on 4 Jul 2008 (naming Samuel H. Bachman as his father). Daniel Bachman, from a newspaper obituary. [S755] Anna Baker & Anne Cochran, Cochran Chapel Cemetery (1976) (naming J. B. Bachman as his father). Tom Ellis provided an electronic copy to Roger Bartlett on 5 Jul 2002. [S67] The Dallas Morning News, Dallas, Tex., 28 Dec 1932, sec. 1, p. 3 (obituary of Daniel Bachman) (not giving the date but stating that he was eighty years old when he died on 27 Dec 1932). [S1178] Standard certificate of death (Texas Department of Health, Bureau of Vital Statistics), no. 51073 for Daniel Bachman, filed 27 Dec 1932, Charles W. Smith, informant, per copy viewed online at pilot.familysearch.org on 4 Jul 2008 (stating that he was born on 5 Feb 1852 in Tennessee). [S961] Find A Grave, online at http://www.findagrave.com, memorial for Daniel Bachman, memorial no. 21155615, viewed on 26 Feb 2014 (giving the date but not the place). [S67] The Dallas Morning News, Dallas, Tex., 14 Jun 1943, sec. 1, p. 2 (obituary of Mrs. Annie E. Bachman) (not giving the date or place). [S67] The Dallas Morning News, Dallas, Tex., 28 Dec 1932, sec. 1, p. 3 (obituary of Daniel Bachman) (giving the date but not the place). [S1178] Standard certificate of death (Texas Department of Health, Bureau of Vital Statistics), no. 51073 for Daniel Bachman, filed 27 Dec 1932, Charles W. Smith, informant, per copy viewed online at pilot.familysearch.org on 4 Jul 2008 (naming Annie Bachman as his wife). [S867] Pat Sproat, chart of descendants of John Bachman, above (giving the date but not the place). [S11] Index to Texas Death Records (Austin, Tex. : Tex. Dept. of Health, Bur. of Vital Statistics), typescript, 1903-40, vol. 3, p. 1042, file 51073 (giving the date, county, and state). [S67] The Dallas Morning News, Dallas, Tex., 28 Dec 1932, sec. 1, p. 3 (obituary of Daniel Bachman) (giving the date and stating that he died at his home at 5605 Vickery Blvd., Dallas, Texas). [S1178] Standard certificate of death (Texas Department of Health, Bureau of Vital Statistics), no. 51073 for Daniel Bachman, filed 27 Dec 1932, Charles W. Smith, informant, per copy viewed online at pilot.familysearch.org on 4 Jul 2008. [S67] The Dallas Morning News, Dallas, Tex., 28 Dec 1932, sec. 1, p. 3 (obituary of Daniel Bachman). [S961] Find A Grave, online, above, memorial for Daniel Bachman, memorial no. 21155615, viewed on 26 Feb 2014 (not giving the date). [S867] Pat Sproat, chart of descendants of John Bachman, above (naming Daniel Bachman as her father). [S867] Pat Sproat, chart of descendants of John Bachman, above (naming Daniel Bachman as his father). [S867] Pat Sproat, chart of descendants of John Bachman, above (naming Daniel Bachman as this child's father). Alice Bachman Smith, from a newspaper obituary. [S67] The Dallas Morning News, Dallas, Tex., 23 Oct 1936, sec. 2, p. 12 (obituary of Mrs. Alice Amanda Smith) (not giving the date but stating that she was eighty-two years old when she died on 22 Oct 1936). [S67] The Dallas Morning News, Dallas, Tex., 23 Oct 1936, sec. 2, p. 12 (obituary of Mrs. Alice Amanda Smith) (stating that they married in Dallas, Texas in 1875). [S67] The Dallas Morning News, Dallas, Tex., 17 Oct 1931, sec. 1, p. 12 (obituary of James H. Smith) (giving the date and stating that the wedding occurred at "the old Bachman home, which burned last year  near Bachman's Dam" in Dallas County, Texas). [S67] The Dallas Morning News, Dallas, Tex., 17 Oct 1931, sec. 1, p. 12 (obituary of James H. Smith). [S867] Pat Sproat, chart of descendants of John Bachman sent to Roger Bartlett, 11 Oct 2003 (giving the date but not the place). [S67] The Dallas Morning News, Dallas, Tex., 23 Oct 1936, sec. 2, p. 12 (obituary of Mrs. Alice Amanda Smith) (stating that he died in 1931 without giving the date or place). [S67] The Dallas Morning News, Dallas, Tex., 27 Aug 1943, sec. 1, p. 8 ("Mrs. Harrison, Dallas Native, Dies at Home") (not giving the date but stating that she was eighty-six years old when sie died on 27 Aug 1943). [S67] The Dallas Morning News, Dallas, Tex., 27 Aug 1943, sec. 2, p. 4 (death notice for Mrs. Lettis Jane Harrison) (not giving the date but stating that she was eighty-six years old when sie died on 27 Aug 1943). [S867] Pat Sproat, chart of descendants of John Bachman, above (naming the place and giving the year but not the month and date). [S755] Anna Baker & Anne Cochran, Cochran Chapel Cemetery (1976), above (giving the year but month and day or the place). [S67] The Dallas Morning News, Dallas, Tex., 27 Aug 1943, sec. 1, p. 8 ("Mrs. Harrison, Dallas Native, Dies at Home") (incorrectly giving 27 Aug 1943 as her death date). [S67] The Dallas Morning News, Dallas, Tex., 27 Aug 1943, sec. 2, p. 4 (death notice for Mrs. Lettis Jane Harrison). [S867] Pat Sproat, chart of descendants of John Bachman, above (naming the place but not giving the date). [S67] The Dallas Morning News, Dallas, Tex., 27 Aug 1943, sec. 2, p. 4 (funeral notice for Mrs. Lettis Jane Harrison). [S67] The Dallas Morning News, Dallas, Tex., 27 Aug 1943, sec. 1, p. 8 ("Mrs. Harrison, Dallas Native, Dies at Home"). [S867] Pat Sproat, chart of descendants of John Bachman, above (naming Letitia Jane Bachman as his mother). [S755] Anna Baker & Anne Cochran, Cochran Chapel Cemetery (1976), above (naming L. Harrison as his mother). [S867] Pat Sproat, chart of descendants of John Bachman, above (naming Letitia Jane Bachman as her mother). [S755] Anna Baker & Anne Cochran, Cochran Chapel Cemetery (1976), above (naming Letitia Harrison as her mother). [S67] The Dallas Morning News, Dallas, Tex., 14 May 1960, sec. 3, p. 8 (obituary of James William Harrison) (naming Letetia [sic] Bachman as his mother). [S755] Anna Baker & Anne Cochran, Cochran Chapel Cemetery (1976), above (naming Letitia Harrison as his mother). Death*: She died on 26 December 1926 in Dallas County, Texas. Other Names*: Mary Ann Maria Bachman Daniel, Mary Ann Bachman Daniel, Mary Ann Maria Daniel, Mary Ann Daniel, Maryann Bachman Daniel, Maryann Daniel, Mary Ann Maria Bachman Daniels, Mary Ann Bachman Daniels, Mary Ann Maria Daniels, Mary Ann Daniels, Maryann Bachman Daniels, Maryann Daniels. Note*: • The family farm where he was born was near present-day Snider Plaza in the Park Cities area of Dallas. • Their marriage date is given variously as 5 May 1880, 3 Aug 1880, and 5 Aug 1880. [S921] Marriages, Dallas County, Texas, Vol. II, Books F-H (Dallas, Tex. : Dallas Gen. Soc'y, 1989), p. 20 (spelling his surname as Daniels). [S1423] "Thomas Chapel Becomes Daniel School," Dallas Gateway--Pioneers of Dallas County, online at http://tinyurl.com/y9nepph6 (27 Jan 2018) (first bullet). [S1423] "Thomas Chapel Becomes Daniel School," above (second bullet) (giving 5 May 1880 as their marriage date). [S867] Pat Sproat, chart of descendants of John Bachman, above (second bullet) (spelling his surname as Daniels and 3 Aug 1880 as their marriage date). [S921] Marriages, Dallas County, Texas, Vol. II, Books F-H (Dallas, Tex. : Dallas Gen. Soc'y, 1989), p. 20 (second bullet) (spelling his surname as Daniels and giving 5 Aug 1880 as their marriage date). [S1423] "Thomas Chapel Becomes Daniel School," above (third bullet). Birth*: He was born in 1857 in the family farm on Turtle Creek, Dallas County, Texas. Other Names*: Charles Daniel, Charles Sidney Daniels, Charles Daniels. [S867] Pat Sproat, chart of descendants of John Bachman sent to Roger Bartlett, 11 Oct 2003 (second bullet) (spelling his surname as Daniels and 3 Aug 1880 as their marriage date).